Jags stadium to have largest flat screens in the world. Discussion in 'The National Football League' started by Big Lou, Mar 11, 2014. "A South Dakota company is partnering with an NFL team to put the worlds largest high-definition LED video display at a Florida stadium. EverBank Field, home of the Jacksonville Jaguars, will now boast two huge flat-screen displays that  if they were put on the field  would be long enough to reach just beyond the distance from one goal post to the other." Guess they found something to replace the tarps! Now all 1,500 fans in attendence will have a great view of the action. I guess they could always show a recorded footage of the 50 yard line on the screens to look like they have people in the seats. More ways to not watch the Jaguars. They should just ship the whole thing to San Antonio, they so deserve a team. Because..... you know..... the Alamo and all. I thought they were just gonna use the local high school's film projector, and use the tarps as a screen. dc_txtech and gwallaia like this. They're just buying those so the people in Jacksonville can watch the Jaguars in style once they start playing in London. Big and flat, just like the team. Yes please. An in state division rivalry would rock, and they'd also siphon off a decent chunk of Cowboys fans. Hopefully they stream Netflix or hook up some video games. That'll be better than watching the JagOffs play. Can't wait for a camera to catch a too-much-whisky-made-us-frisky couple making waves in the shallow end of the swimming pool. They can probably use to the tv cover over all those empty seats now. Think of how much they'll save in tarps! Something just messed up about a team that can't sell enough tickets spending that much on something like that. Maybe they'll watch movies during the games or something. Who wants to get a cabana in December? 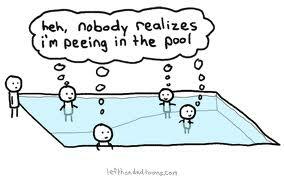 Once enough people pee in those swimming pools they'll warm up nicely. Is it really a pool or just another tarp? Think I saw a cheech and chong movie where one was "swimming"
I was thinking that also. It actually gets pretty cold in Jacksonville. They are way above the "frost line". Tampa and Miami could get away with that. Anyway, I am glad they are doing those screens and trying to improve the experience there. I live 2 hours south of there and know the Texans will play there every season. The Titans screens are really cool also. IMO they did it just right, in the end zones, huge but not too distracting (wow, I actually complimented the Titans organization).